Liberal senior golfer Megan Campbell is the Mead Lumber Athlete of the Week. 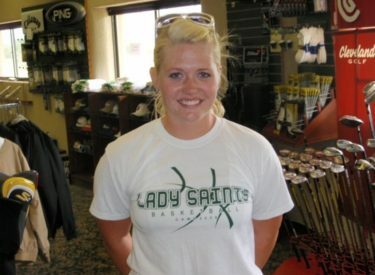 Campbell led the LHS girls by shooting a 47 at Mariah Hills in Dodge City last week for 11th place. Campbell qualified for state last year. Campbell also plays basketball, in a member of Liberal High School Student Council, and played softball last year. Her interview airs Thursday morning between 7:37 and 9 a.m. on Talkradio 1270 and kscbnews.net.